With the new Tim Burton movie out, Alice in Wonderland, lots of movie-inspired projects are coming out. Here are some projects as well as supplies that we've come across so far. If you have one to share also, please let us know! 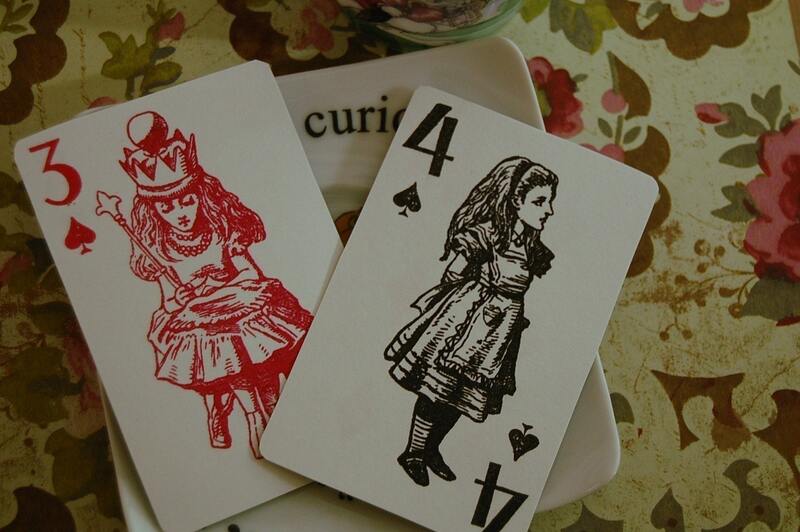 The Alice playing cards below are by TheWhimsicalPaperie. 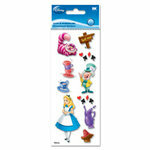 These would be fun embellishments for an Alice-themed page or project. The card below is by Cynthia Shaffer using these Alice in Wonderland stamps available from Crescendoh. Don't you love it when guys get crafty? Calv, from Mishaps in the Making, made this egg and scroll below for his girlfriend as an Easter present. It also doubles as Alice inspired. Check out the scroll! More photos can be seen here. Having an Alice themed party? 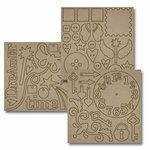 These distressed envelopes, by Pitch Mom, would be cute as part of the invites or party favours. Miss Vicky has been making lots of jewelry and altered projects inspired by the Alice in Wonderland movie. 3 of her photos are shown below plus you can see lots more here on her blog. WanderingStarGallery has this Alice inspired "Drink Me" pendant available in their Etsy shop. The Thin Veil has these Alice in Wonderland embellishments shown below for sale in their Etsy shop. Batzy has the Alice inspired printable, shown below, available in their Etsy shop. For more Alice in Wonderland inspiration, check out these wedding photos from Hello Lucky. This entry was written by Angie and posted on March 16, 2010 at 8:00 am	and filed under altered, Scrapbooking, scrapscene. Bookmark the permalink. Follow any comments here with the RSS feed for this post. Post a comment or leave a trackback: Trackback URL.